Despite having millions of readers, books are a particularly intimate conversation between the author and the reader. I wasn’t writing to millions, I was alone in a room writing to one person. So I shared things that were private, things you only tell the best of friends. As part of my series about “How to write a book that sparks a movement” I had the great pleasure of interviewing Cara Brookins. 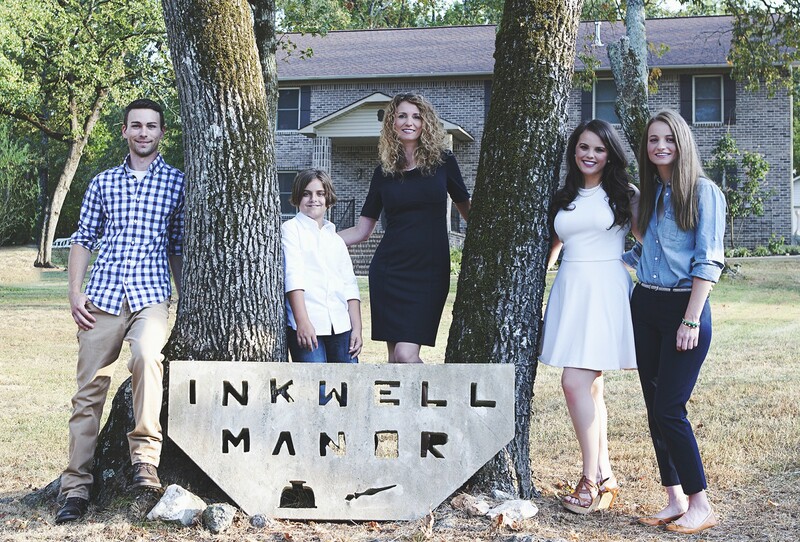 Cara Brookins is best known as “the mom who built her own house using YouTube tutorials”. 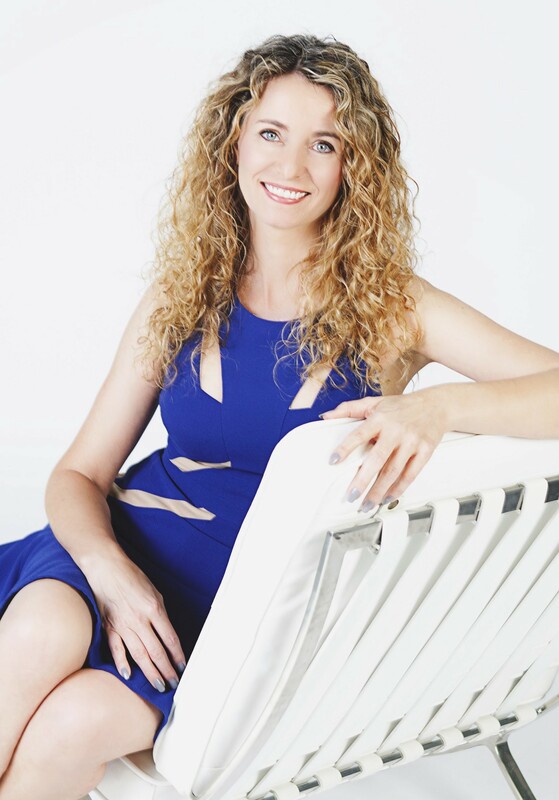 She is a keynote speaker and the author of eight books, including Rise, How a House Built a Family, which tells the story of building her 3500 square foot home [with the help of her four children] by watching YouTube videos. Cara’s story went viral in more than 75 countries and has been viewed more than two billion times, and Risehas now been optioned to become a major motion picture. Cara’s programs inspire audiences everywhere to achieve extraordinary goals. I grew up in Wisconsin, where the arctic climate had a huge influence on my future as a writer because it pushed me under a quilt with a book most of the year. And when I wasn’t reading, I was prying stories out of my family members. Thankfully, my parents and grandparents didn’t believe in sitting still for story time. We hauled firewood while I listened to my dad’s tales of skunk encounters and his search for a hidden forest patch of rare, lady slipper orchids. Grandma and Mom taught me to make her dressing while I learned about my great grandpa’s job as a mule skinner in WWI, and my grandfather coming ashore Nagasaki in WWII. So along with my history, the idea that I could figure out how to do just about anything settled into the core of how I saw myself. When I was five, I stole a book that changed everything. It was called, Make it Yourself, and it was part of a my mom’s mail order book club. She’d left the seal in place to send it back. But I hid with it in our basement beside the water heater, and I taught myself how to knit by using the photos and a pair of long-handled paintbrushes as needles. This realization that a book could help me figure out how to make real things changed the way I saw the world and myself. I never expected to write a book about my own life, especially the hard parts I shared in Rise. When my kids and I were following YouTube tutorials to build our house, it wasn’t something we were proud of. In fact, we were horribly ashamed that we’d fallen far enough in life that this massive, difficult project was our sanest path forward. But by the time we finished, I kept running into people who were stuck in terrible circumstances and were thinking too small about their options. I realized that sharing my story about taking a massive leap into a project outside the norm, was exactly what they needed to take a bold step of their own. Waiting for a book release is torture when it’s your personal story. I worried people would focus on the wrong things, like a toddler out on a construction site, or the domestic violence backstory. But after the release, I was overwhelmed with thousands of notes from men and women who felt motivated to build better lives for themselves and their families. It was everything from, “I’m going to paint my own dining room!” to, “I’m building my dream boat to sail the world with my family.” Piles of people made moves to start new businesses too. What moment let you know that your book had started a movement? Please share a story. We had a lot of media around the book release time, so I was too busy keeping up with interviews and events on my calendar for the details of what was happening to sink in. It wasn’t until I started talking to film and television producers that I really understood the global impact of our family story. Within a year, my story had over two billion views in more than seventy-five countries. When I had to constantly rely on Google translate to read my messages, I realized that sharing my story had actually changed the way people were moving forward with their lives. It was even a little scary sometimes, that people were doing such big things they might never have tried without my story. My story seems to act as a proof of concept for people. I didn’t give them any new ideas, I gave them permission to take action on an idea they’ve had for a long time. In the beginning people mentioned the physical, tangible result most often — the fact that we had a new house to live in. But as the message circles back to me now, I hear a lot more people mention the more important things my kids and I got out of this. The fearless confidence that my kids and I (and therefore anyone) can leap into any big goal and reach it, that’s the biggest takeaway people mention now. I do more public speaking now than writing. Being on stage is a huge and sometimes terrifying change for someone who spent eighteen years behind a keyboard writing computer software and novels. The best part of every single event is after I leave the stage and am flooded with people who tell me their stories. There is something about sharing the authentic good and bad parts of your life that invites other people to do the same. And there is nothing more amazing than seeing a person’s relief at finally speaking out loud a thing they’ve been holding in. Usually this is a secret big goal, but lots of times it’s a terrible trauma that they are starting to let go. Every life experience comes with positive and negative elements. Releasing my memoir was overwhelmingly positive, largely because I’m an optimist through and through. A person has to understand that the decision to expose a portion of your life in such an extreme way becomes a part of your business plan and lifestyle moving forward. You will always be more exposed than the average person. In some ways that is very freeing, because you have few secrets to worry about. But it also can make you feel very vulnerable. Surround yourself with people who support everything around your decision to share a story. Also be very clear what your goal is going in and check every new opportunity against that goal. If you do that, you can spin any good or bad experience toward positive goals. Despite having millions of readers, books are a particularly intimate conversation between the author and the reader. I wasn’t writing to millions, I was alone in a room writing to one person. So I shared things that were private, things you only tell the best of friends. And the reader’s experience is similar. You read alone in a quiet place with only the voice of the author in your head. You become close intimate friends. And when it comes to revolutions and true change, we listen to the friends who seem to know our hearts all the way through. Every writer faces a ridiculous number of rejections and low (or no) pay for their work, so you have to be dedicated, disciplined, and completely unwilling to quit. But more than the work ethic, success requires an extremely clear purpose. Understand why you are writing and the value it will bring to other people gives you an edge. If you’re just doing it for yourself, I don’t believe it can be successful. And really, I can’t imagine it feeling worthwhile to put your deepest, most difficult moments on display unless someone else can build a better life through it. I was in too much of a hurry to get moving, so my early writing was pretty scattered. I wrote novels in every genre and for every age group. I just wrote whatever I was interested in at that moment. That’s a terrible way to develop readers who feel connected to you. I learned to slow down and evaluate what the overall consistent theme of all my scattered books was, then to develop a plan for how I could write about a variety of things within a smaller set of parameters. In short, it was just creating a clear goal that was about the reader, not about me as a writer. 1. Make the reader takeaway your goal. This means the message has to be bigger than yourself and your story. And it also means you can’t be telling your story to set the record straight or for revenge. By applying lessons you learned, readers should see ways to improve their situation. 2. Tell the tough stuff. Some days I felt like I was writing all the ways I messed up and how that hurt my kids. But it wasn’t until I committed to telling about those tough things in an authentic way that I could fairly share the other side of all the things I went through to fix it and build a better life. 3. Share a universal story. You can’t please everyone and you shouldn’t try, but you can find ways to tell your story that will appeal to people of various ages, genders, and races. When you’re deciding which scenes to include, widen the appeal with diversity. This will also show a more three dimensional view of who you really are. 4. Develop a platform.Authors are rarely discovered out of nowhere to become an overnight success. Write articles as an expert in the themes of your story. Speak to groups in your community. Create social media platforms and share a behind the scenes look at your life as you write your story and prepare to share it. 5. Study good writing.Too many first time authors expect an editor to fix everything if they just get something down on paper. But it’s actually a really tough market and publishing houses expect to receive your first draft in near perfect form. Good storytelling techniques aren’t just for fiction, either. Learn about archetypes and story arcs so you can structure your story in a compelling form. I’d love to see people living more boldly, to stop letting fear hold them back. When my kids and I arrived at our construction site each day, we had no idea how to do a single project. It was daunting. And it was easy to let a sort of fear paralysis set in. I developed this strategy to keep us moving that I called the worst case scenario method. That’s how we learned to live without fear, because once you identify that you can live with the worst case scenario, then you can leap into your biggest, boldest idea with no fear at all.